There are many different herbal remedies widely available today and some of them are used in the treatment of stress. Many of these herbal remedies have been in existence for many thousands of years and were used by the ancient Chinese, Greek and Egyptian civilisations. Stress – something that affects one in three of us at some time or another – is consistent with a feeling of emotional imbalance and can cause the sufferer to become physically unwell if the levels of stress increase. Each of the aforementioned herbal remedies can be used for the treatment of stress and also for the treatment of some of the physical symptoms of stress such as Eczema, Irritable Bowel Syndrome, fatigue and a host of other ailments associated with stress.These remedies are normally taken in the form of a tea or drink and in tablet form. All of the herbal remedies featured are available as over the counter alternative medicines from a wide range of stockists throughout the United Kingdom; it is recommended however that when purchasing these remedies you do so from a registered herbalist. When dealing with stress it is important to understand that many factors can bring it on and alternatively there are many different ways of alleviating the problem. Some of the herbal remedies available not only reduce stress but they also help to improve concentration, assist in returning sleep patterns to normal and a host of other advantages. Although many of these herbal remedies are considered to be alternative and complimentary many of the herbs used in them are to be found within conventional medicine. So with this in mind it is important to consult your doctor if you wish to try any of these herbal remedies as some of them might already be within medication your doctor has prescribed for you. Likewise if you decide to undertake a course of herbal medicine you should consult a herbalist who will ask for details of your current medical conditions, any conditions within your family that might have a bearing and your lifestyle. Your lifestyle is an important factor, especially in the treatment of stress, so it is important that you tell him or her everything you can about the nature of your work, long hours, and anything that has a bearing on the stress you are suffering from. You should also be aware that if you suffer from high blood pressure, are pregnant or have heart problems there are herbal remedies that can cause problems in these areas so absolute honesty when consulting with a herbalist is a must. 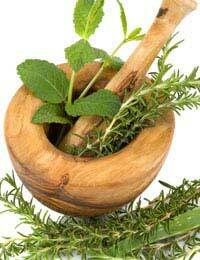 Side effects of herbal remedies can include dizziness, nausea, flatulence, diarrhoea, and bad breath. All in all, herbal and complimentary remedies are a common and highly regarded alternative to conventional medicines although it is fair to say that although your doctor may not try and dispel you from trying these as an option he or she will undoubtedly want to test your resolve before doing so.